The Family Farm.....Do you have one in your family? 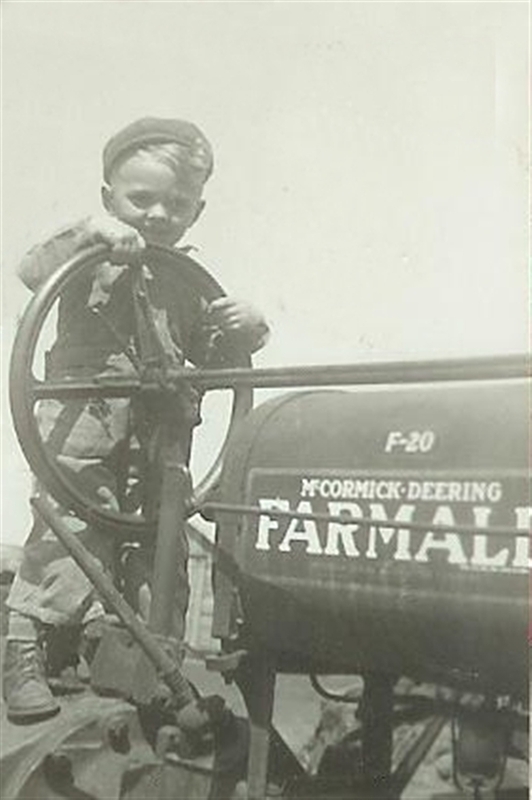 Probably most of us have a family farm somewhere in our family tree because about 100 years ago there were MANY farmers making their livelihood from the ground. I don't have to look too far to find mine because Tall Guy and I are farming them, both his family's and mine. 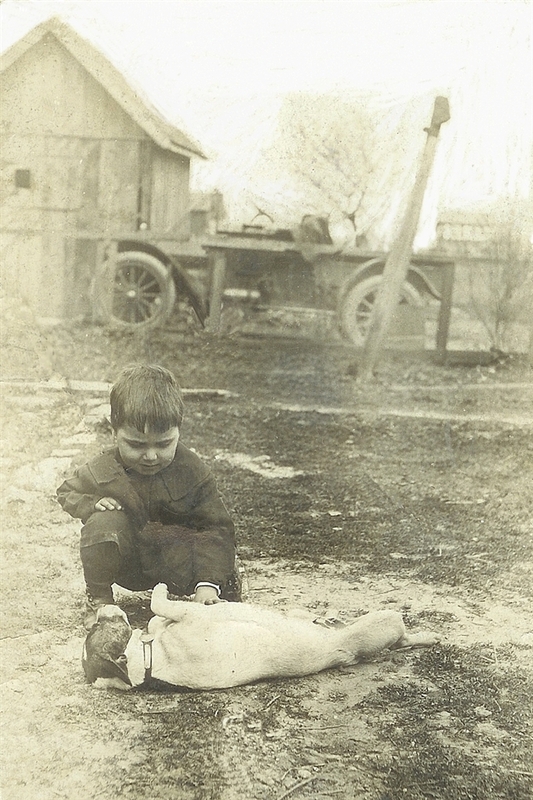 Let me share with you the story of my family's farm. 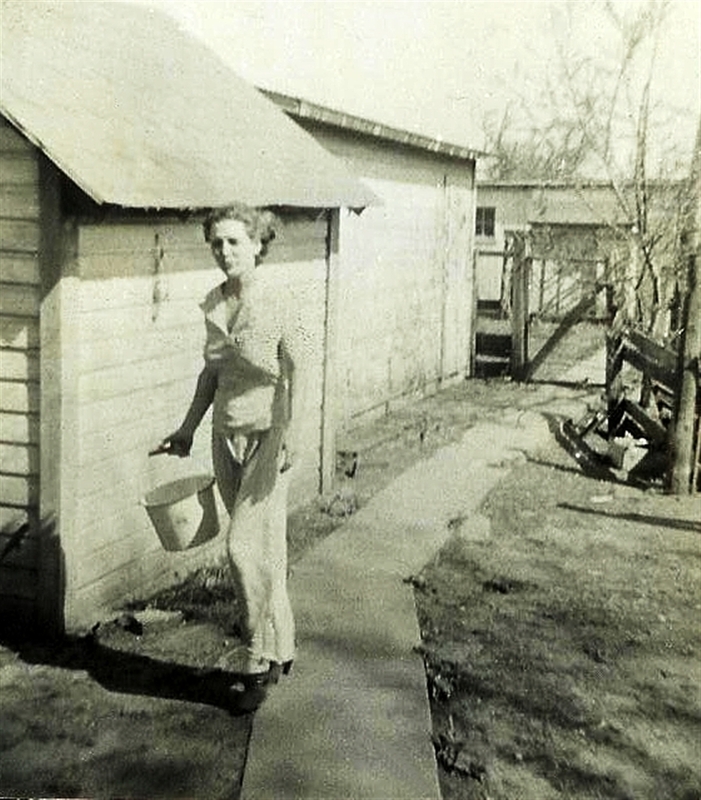 The next one is of Grandma Phyllis coming back from either feeding the cows or chickens or throwing out the garbage or heading to the garden. 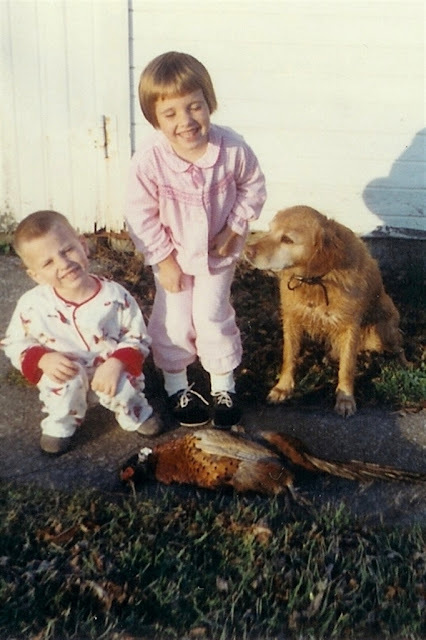 She did it all, even ran our trap line during the weekdays the year my brother and I decided to trap muskrats for Christmas money! Really! She did! Honestly! We did! No, I didn't skin them, but I held the flashlight in the water when we checked them and helped set my dad's old traps. We caught mostly muskrats, but we also caught a mink, and my brother still has the tanned fur. 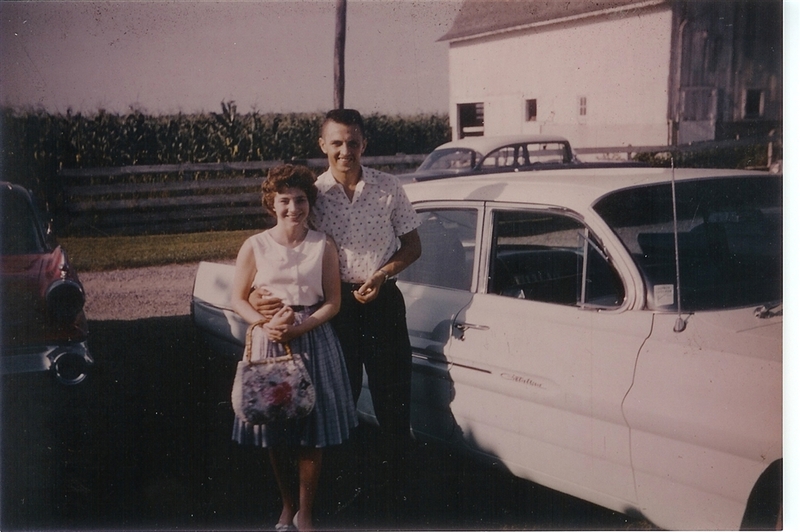 Phyllis and Bill's place was known as "The Farm." 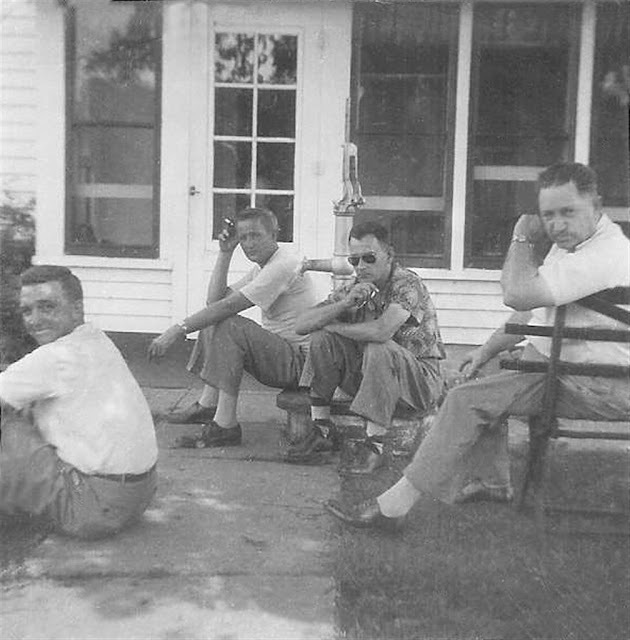 My Grandpa Lyons is sitting on the bench, and my three of my uncles are sitting lower. With such a large family, the farm was the perfect place to come out and visit under the cool breeze of the many shade trees. 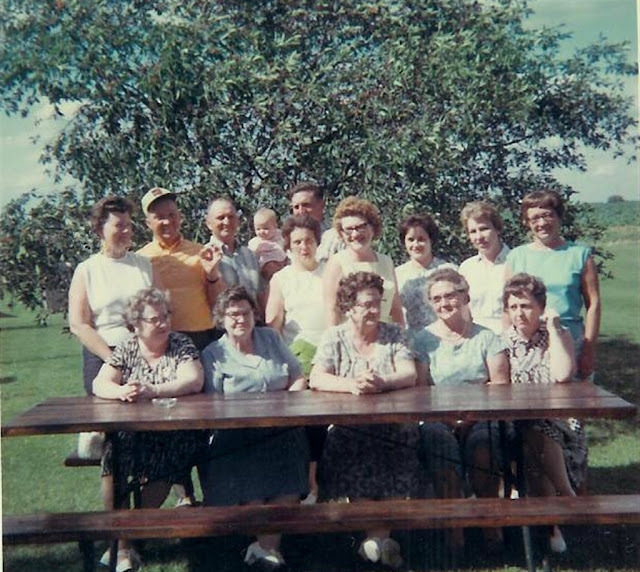 Here we have my three Great Aunts sitting with my Grandma Lyons and Aunt Betty and many of my aunts and uncles plus one cousin standing in front of Grandma Phyllis' cherry tree. Her mother, my grandma, is the wonderful lady sitting second from your right. Grandma and Grandpa Lyons had nine children, 15 grandchildren and now the family extends out at least three generations more! My mom and dad are getting ready to leave her folk's farm, off to start their married life together 1961. I just recently learned that one summer Mom worked with three Herford calves getting ready to show them at the county fair. She became ill before the fair and was not able to complete her project, but she sure did put in the work. Dad also worked with cattle and was on his school's judging team! See? Can't you tell I adored my Grandma? She even took us out to help feed the baby calves. 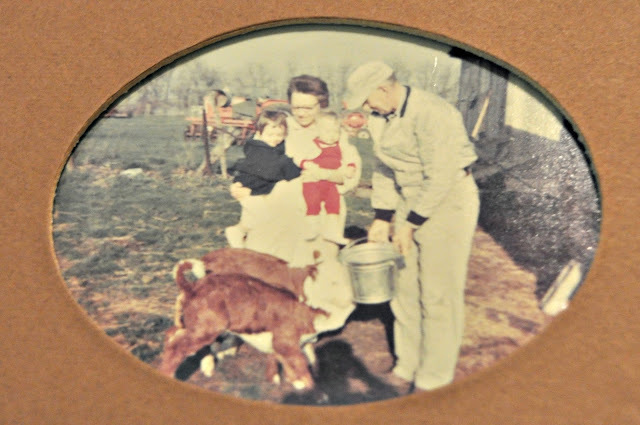 I joke that Tall Guy always tells me I was not a farm girl, but this picture proves that I've been around cattle longer that he has. It was taken around 1964, and he wasn't born until 1965! My brother and I after we scaled a mountain! Loved those rocks! No, I don't go hunting much these days unless I am shooting with my camera, but I love to fish, and I can STILL shoot a gun! 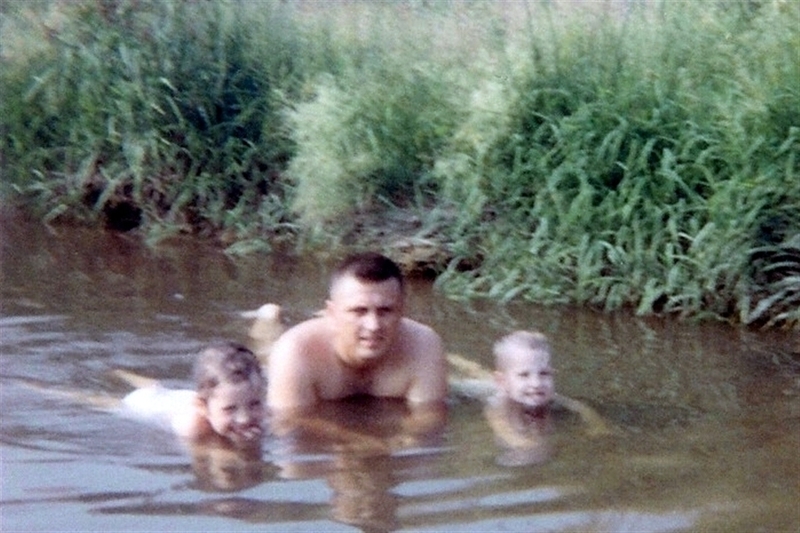 Me, Dad, and my bro in the crick on a hot day. We did that a lot. It probably wasn't the healthiest water for you if it got in your mouth, but it was fun to splash around in and fish. 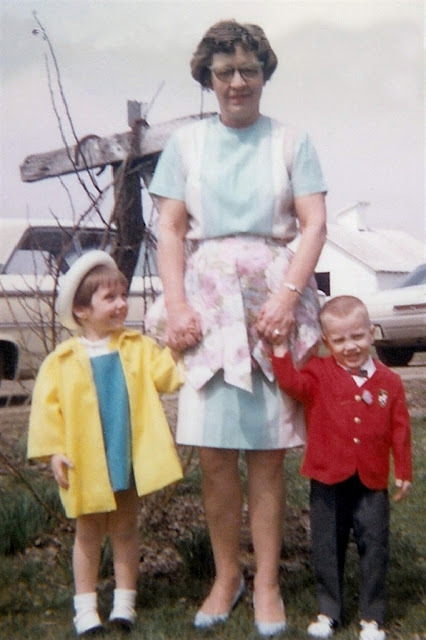 Legend has it that after serving as Flower Girl in one of my cousin's weddings, I was seen fleeing to the crick to cool off in nothing but my frilly little pants! The best ending to this story is that there is no end! 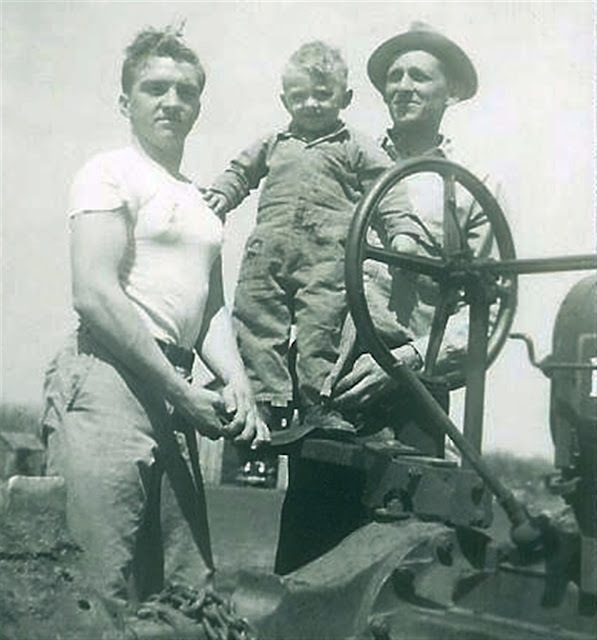 Stay tuned to see how this family farm is still working for our family today! 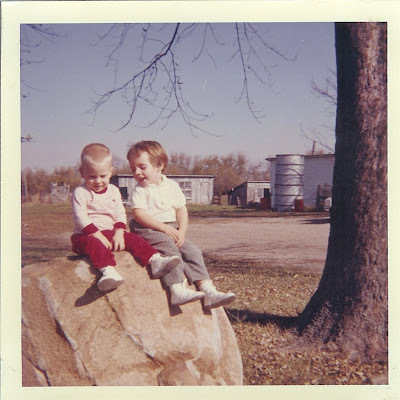 Lana's Life: A Look at My Rural Childhood.